StudyGuardian is an online newsletter sent via e-mail. 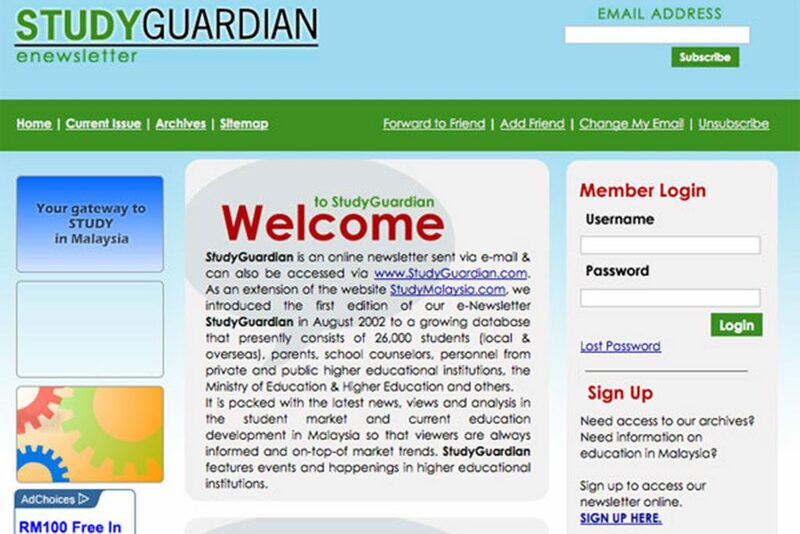 As an extension of the website www.StudyMalaysia.com, we introduced the first edition of our e-Newsletter StudyGuardian in August 2002 to a growing database that presently consists of 20,000 students, parents, private and public institutions, the Ministry of Education & Higher Education, embassies and others. It is packed with the latest news, views and analyses in the student market and current educational developments so that viewers are always informed and on-top-of market trends. StudyGuardian features events and happenings in private higher institutions. It aims to keep its readers up-to-date with recent educational activities happened in Malaysia and informs them of upcoming activities. The Newsletter also has it’s own website to store all the archives of our Newsletters, located at http://www.studyguardian.com. 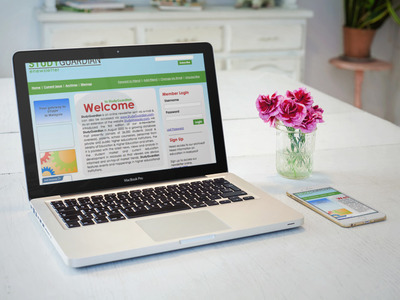 Free membership is provided for those who wish to access the archives for reading pleasure or for their research purposes.